Sartorially speaking, most guys don't need anything more than a beloved, worn-in shirt that goes with fitted jeans and sneakers on weekends. JACHS—a New York-based clothing company whose shirts are carried in Nordstrom, Saks, and now their new Bleecker St. flagship store—seems to understand this inherently. Their vintage-inspired button-downs and striped tees are perfect for leisurely hours spent doing a whole lot of nothing. 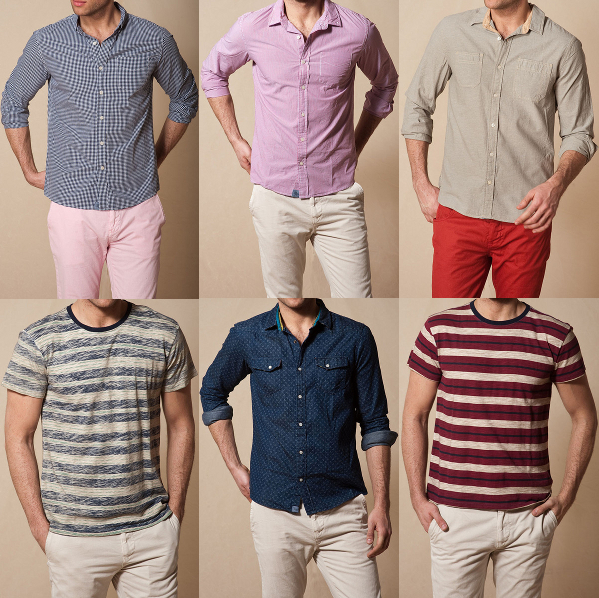 Casual but classically preppy, in a variety of fabrics, colours, and patterns. It's the shirt he'll always want to reach for in his off hours. P.S. No need to steal his shirt; JACHS offers a women's collection too.